The clock never seems to stop. Every day, it seems, we're fighting it: rushing to get to work, getting errands done, catching whatever sleep we can. There's never enough time to do what we need or want to do, and just when we almost seem to get caught up on the weekends or our days off, the clock keeps going and the merry-go-round starts all over again. That's life for most people in our hectic 21st-century society. Undoubtedly, most of us have occasionally cursed creators of the merciless work schedules, keepers of the deadlines, masters of the timebound obligations by which our economy and society continuously operate. But as arbitrary as they may sometimes seem, clocks, calendars, and schedules aren't an invention of humans. Clocks – mechanisms to track and mark the passage of time – are an integral and indispensable part of life on Earth, from the simplest and most primitive one-celled organisms all the way to human beings. The study of how biological clocks work to control and regulate almost every function of life is called chronobiology. It's a rich discipline encompassing a broad range of sciences, synthesizing their techniques and viewpoints in new and exciting ways. And almost without even trying to, the University of Pennsylvania has become one of the world's leading centers of chronobiology, with cutting-edge research that involves almost every one of Penn Medicine's science departments and several departments of its hospitals. 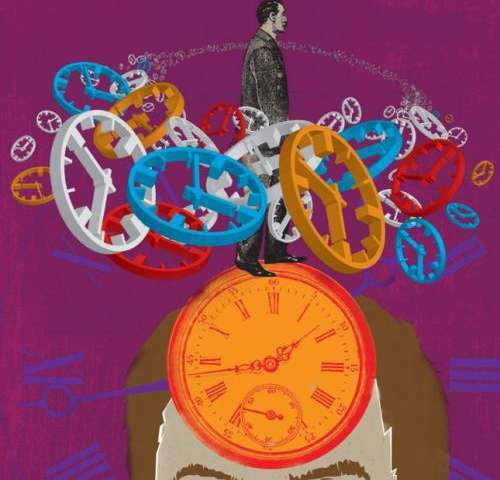 Chronobiology, says Amita Sehgal, "basically refers to the process by which organisms time physiology and behavior, so that everything takes place in a rhythmic fashion." "Chronobiology is biological timing," says Amita Sehgal, Ph.D., professor of neuroscience and a Howard Hughes Medical Institute Investigator. "It basically refers to the process by which organisms time physiology and behavior, so that everything takes place in a rhythmic fashion." The persistent rhythms of life, the body clocks that control when you wake, sleep, eat, digest food, and perform nearly every other function of a living organism, are all the province of chronobiology. Although humans have always been at least subliminally aware of how their own bodies and other life forms are affected by natural rhythms such as the day-night cycle, the seasons, and the tides, science paid little attention to such phenomena for most of human history. In the 18th century, curious types such as Swedish naturalist Carl Linnaeus and French astronomer Jean-Jacques d'Ortous de Mairan noted how certain plants responded to different times of day or observed how the behavior of animals varied with light and dark. But no one entertained the idea of an actual biological clock within the body. Perhaps it was because natural rhythms are so all pervasive and, well, natural, they were simply taken for granted – or it may be that even as Enlightenment science seemed to increasingly reveal the workings of a mechanistic, clockwork universe guided by Newtonian physics, the notion of people under the control of a clock seemed unnatural, even somehow blasphemous. By the 20th century, however, it had become clear that there were important connections between the ticking of the clock and the workings of life, even within our own bodies. Scientists discovered that blood pressure varies naturally by time of day and began to think about issues such as sleep, hormonal cycles, and work schedules, especially as industrialization and the modern age ushered in a 24-hour society dependent on shift work. Still, chronobiology didn't begin to be recognized as a legitimate field of scientific study until around the 1960s, with the work of scientists such as Franz Halberg at the University of Minnesota, who coined the term "circadian" (meaning a 24-hour period), and Colin Pittendrigh at Princeton and Stanford, who organized the first dedicated scientific symposium on biological clocks at Cold Spring Harbor Laboratory in 1960. Halberg, Pittendrigh, and their colleagues helped to lay much of the foundations of chronobiology, weaving together different strands of inquiry from biology, psychology, and genetics. Like many other interdisciplinary sciences arising from the intersection of more traditional fields, however, the nascent field still had trouble being taken seriously. "Back in the late '80s, a colleague of mine at Dartmouth, one of the premier circadian people, wrote a grant on circadian rhythms and one of the reviewers called it the field of 'spoon bending,'" notes Sehgal. "It was viewed as 'soft' science, it was not hard science, it was something that psychologists did." That finally changed when new techniques began to reveal the actual workings of biological clocks at the neurological and especially the molecular level – showing that they're much more complex and important than previously believed. "It wasn't until we started finding genes and molecules that people took it seriously." "When I went to medical school, what I was taught was that the body had a clock, and the clock was in this part of the brain called the suprachiasmatic nucleus or SCN," recalls Mitchell Lazar, M.D., Ph.D., the Sylvan H. Eisman Professor of Medicine and director of the Institute for Diabetes, Obesity, and Metabolism. "And the way we interact with our environment was that light hits our retina, which is part of the brain, the retina sends a neural signal to the SCN that more or less says it's light out or it's not light out. That helps to entrain the clock in the SCN, and then through the peripheral nervous system and the nerves, the SCN tells the rest of the body what time it is, so it's coordinated. That was the old model." In essence, rather than being ruled by one big clock whose bell tolls throughout the entire organism, every living thing is a clock shop, containing a multitude of timepieces ticking away in unison – but not always in synchronization. But it's not that simple. The SCN, about the size of a grain of rice and located in the middle of the brain in the hypothalamus just above the optic nerves, is indeed the neurological master clock in humans, governing the circadian rhythms that comprise the most important biological time cycle. Wired into the optic nerve, the SCN gets its cues about light and dark from the light receptors in the retina of the eye, then sends this information on to the pineal and pituitary glands and other parts of the hypothalamus. Hormones such as melatonin and cortisol are then released into the bloodstream to control physiological and behavioral responses such as body temperature and blood pressure, among many others. Yet the SCN isn't the only clock in your body. In fact, virtually every one of your cells contains a molecular clock that controls its functioning and interactions with other cells and tissues. The same is true of essentially all other living things, down to the simplest and most primitive one-celled organisms like cyanobacteria. In essence, rather than being ruled by one big clock whose bell tolls throughout the entire organism like Big Ben in the streets of London, every living thing is a clock shop, containing a multitude of timepieces ticking away in unison – but not always in synchronization. Just as rhythm is a fundamental part of music, it's also an essential part of life. But while it's quite possible to have music without rhythm, life is impossible without the presence of regular, recurring time cycles. There's the familiar 24-hour circadian cycle, which can be divided into diurnal (daytime), nocturnal (nighttime), or crepuscular (twilight) periods. But living things also follow other cycles: infradian (longer than one day), such as the human menstrual cycle or the migration patterns of some animals; ultradian (shorter than a day), such as sleep periods; and even cycles tuned to the ebb and flow of the tides. All living things dance to a variety of rhythms. Those rhythms and the clocks that keep them are not arbitrary or random but are an inevitable result of our evolution on this particular planet. "It's a robust biology that evolved as a function of Earth's rotation on its axis relative to a star every 24 hours," explains David Dinges, Ph.D., chief of the Division of Sleep and Chronobiology in the Department of Psychiatry and associate director of the Center for Sleep and Circadian Neurobiology. Ultimately, he says, "chronobiology is based on orbital mechanics." If we ever discover life on another planet with a different orbital period and different days and months and years, that life will move to those rhythms, its biological clocks set to an entirely different time from our own. Just as the elements that make up our bodies were once forged millions of years ago inside the hearts of exploding stars, we live by the rhythms of our planet and star. As Dinges puts it, "It's such a fundamental area of what it means to be a life form on Earth that it's difficult to imagine it not being involved in key ways to how we maintain our energy equation, our input-output equation, and therefore our health." As Penn researchers are discovering, that elemental connection between our biological origins on Earth and how we live and thrive concerns far more than when we sleep or when we get hungry. When things are out of sync or out of communication, the rhythms of life and health can be fundamentally disrupted. The 24-hour circadian cycle is the most important, because by definition it's the one we deal with every day. Sehgal has spent her career probing the molecular basis for that cycle, the so-called molecular clock, and how it triggers the need for sleep. She's managed to find some important pieces of the puzzle, including one of the genes involved in the molecular clock, and has identified some crucial signaling pathways that drive the circadian cycle. "I got into this field when I was a postdoctoral fellow at Rockefeller University, where we discovered the second animal circadian rhythm gene," she says. "There was only one known in animals before that." That was back in 1994, after which, she explains, "the field sort of took off. Mammalian homologues were found and the mechanisms started being worked out." Much of Sehgal's research involves the trusty fruit fly, Drosophila melanogaster. Although flies can't close their eyes like humans (nor do they dream, as far as we know), they sleep just the same, and Sehgal's lab has used the Drosophila model to find two genes also present in humans, timeless and period, that regulate the 24-hour cycle of rest and activity cycle and how the cycle is reset by light. Sehgal found that it was the levels of the timeless protein that varied with light and darkness. "The mechanism by which the clock resets in response to light is through reducing levels of the timeless protein. The protein's levels are high at night, low during the day. For many years people had known that if you shine light at night, you reset your clock." Meanwhile, the PER protein sets the length of the cycle. By tweaking the PER gene, Sehgal was able to actually alter the 24-hour circadian rhythm of the molecular clock to a 19-hour cycle. The experiment proved that, while it can be affected by light, the circadian clock is ultimately a genetic mechanism. "In all species now where mechanisms regarding the response to clock have been identified, it's always a change in the levels of what we call a clock component, one of these gene products," she explains. "Circadian rhythm by definition is something that can persist in the absence of environmental cues. So if something goes up and down with a 24-hour rhythm in a light and dark cycle, it's not necessarily a circadian rhythm, because it could be driven by light. Circadian rhythms have to persist in constant darkness. However, they can be reset by light, and they usually are synchronized to your environment, which is why you suffer from jet lag when you go from one time zone to another." As David Dinges points out, "Food intake, heat retention, heat loss – these are part of the body's basic energy regulation and then behavioral activity. And the circadian system regulates all of these." While the genetic mechanisms are complex and still not fully understood, it's not too surprising to think that something like our sleep and waking patterns would be intimately tied into biological clocks. Surprises have come on other levels, however. Sehgal notes that "in the past 10-12 years [it's become clear] that clocks are not restricted to the brain. There are clocks in many different body tissues, be it flies or mammals. So there's a clock in the liver, there's a clock in the kidney, there's a clock in the pancreas, and they're controlling local tissue specific functions. The fact that so many processes are rhythmic is something else that's been somewhat surprising. The extent of circadian regulation was not known until we actually realized there are clocks everywhere and then started looking more carefully and realizing that genes are cycling everywhere." That discovery leads into the next surprise, which has been the increasing synergy that researchers are uncovering between body clocks and other vital biological processes that involve eating, fertility, metabolism, and maintaining the body's equilibrium. "About 10 years ago, using DNA arrays, we and other groups estimated that about 10 percent of genes in the body were under clock control," says John Hogenesch, Ph.D., associate professor of pharmacology in the Institute for Translational Medicine and Therapeutics at Penn. "Since then we've redone the studies with more sophisticated technology and experimental design, and now we're finding that over a third of the components of your genome, including more than half of all drug-response pathways, are clock-controlled. I think that reinforces what clock biologists have felt all along, which is that probably at least a third if not more of our physiology and metabolism is under either direct or indirect regulation by the clock." As Dinges points out, "Food intake, heat retention, heat loss – these are part of the body's basic energy regulation and then behavioral activity. And the circadian system regulates all of these." But how do those clocks work to control so much activity? How do they communicate with each other and the organs and tissues under their purview? How does the SCN in the brain coordinate and synchronize it all? These are the questions that researchers such as Garret FitzGerald, M.D., chair of the Department of Pharmacology and director of the Institute for Translational Medicine and Therapeutics, are investigating. He's found that communication between the SCN master clock and the body's peripheral clocks isn't just one way. "I've used the example of an orchestra," he says. "In an orchestra, the guy with the stick obviously communicates to the people playing the various instruments, he's the master clock. But his behavior is conditioned to some degree on the behavior of the person playing the oboe. And furthermore we have evidence now that peripheral clocks talk to each other as well. So the guy playing the violin is influenced by the guy playing the oboe. The dominant paradigm is the master clock, but it's a lot more complicated than that. And just like the guy playing the oboe, these peripheral clocks also have the capacity for autonomous behavior." Garret FitzGerald and his team have been "very interested in the degree to which gene variation in clock genes may contribute particularly to cardiovascular dysfunction and also to the metabolic syndrome." FitzGerald is particularly curious about the role of clocks in regulating metabolism. "We're obviously very interested in the degree to which gene variation in clock genes may contribute particularly to cardiovascular dysfunction and also to the metabolic syndrome, which obviously is intimately linked to cardiovascular dysfunction," he says. Previous work by his laboratory isolated the cardiovascular clock and showed how it controls variations in blood pressure over time. "And when we went to look at the genes that oscillated in the aorta and that would be under the control of the clock, we were amazed to find that they fell into very discrete functional cassettes: carbohydrate metabolism, lipid metabolism, dipocyte maturation, and vascular integrity. And they're the elements that are disordered in metabolic syndrome. So here was for the first time a mechanistic integrator of the very discrete phenotypic expressions of metabolic syndrome. We went on from that to show that the clock played a very big role in carbohydrate metabolism." Most recently, FitzGerald found a link between disruption of the clock and obesity – and, even more interesting, evidence that just as the master clock in the SCN directs the other clocks throughout the body, those peripheral clocks can also direct the SCN. Using his orchestra analogy, it's as if the oboist takes over the baton from the conductor in the middle of the symphony. When FitzGerald deleted an important clock gene called Bmal1 in fat cells of mice, the SCN's own clock was disrupted. "We showed that this altered the signaling of lipids in the plasma that went through to the feeding centers in the brain to alter behavior in a way that resulted in obesity." The findings are consistent with previously well-established correlations between night shift work and sleep disorders with a higher risk for obesity and metabolic disorder. Another component of the molecular clock with a connection to metabolism is a molecule called Rev-Erb, which exists in two forms (Rev-ErbA and Rev-ErbB). 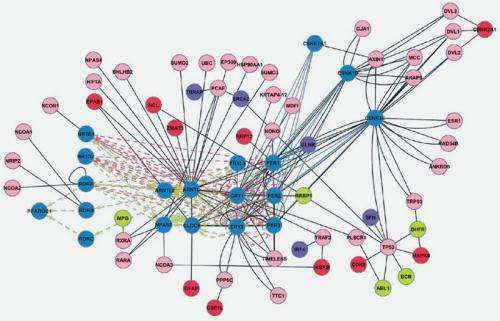 They are part of a family of molecules known as nuclear receptors which are master regulators of metabolism and development. Lazar notes that when he discovered Rev-Erb back in 1989, "it was an orphan, meaning that we really didn't know what it did. For many years my lab was studying it from the point of view of an interesting molecule that must have a function and we'd really like to know what it is." Then another group in Switzerland discovered a strong correlation between variations of Rev-Erb levels and circadian rhythms, which led Lazar's lab to focus on just how Rev-ErbA and B fit into the molecular clock. They found that variations in the levels of Rev-Erb with the circadian cycle affected lipid synthesis in the liver. Disruption of Rev-Erb led to a dramatic increase in liver fat in mouse models. "These studies really for the first time dramatically demonstrate an epigenetic control of metabolism that's circadian and has physiological significance, because fat in the liver can be both a cause and effect of diabetes and it can also be a problem in terms of the liver itself," Lazar points out, adding that fatty liver is the second-most common reason for liver transplants. John Hogenesch views the clock functions in multicellular organisms "as a way to temporally separate incompatible biochemistries. For example, you can't have oxidative and reductive reactions occurring in the same place and time." As vitally important as all these natural clockworks may be to human life and all other organisms that have evolved on our planet, why did they arise in the first place? Why is it necessary to have any sort of built-in clock mechanisms? Albert Einstein once observed that "the only reason for time is so that everything doesn't happen at once." Hogenesch, who spends his time studying genetic clocks and the various physiological processes they control, tends to agree. "The way I like to think about it is, the clock functions in multicellular organisms as a way to temporally separate incompatible biochemistries. For example, you can't have oxidative and reductive reactions occurring in the same place and time. Tissues allow you to separate them by place, but the clock allows you to temporally organize things in a way that's more efficient. So the evolution of clocks may date back to needing to do these various chemical functions. In ancient organisms not having multiple tissues, temporal organization was the only way to do it." Whatever the reason for our biological clocks and whatever many functions they may perform, it's quite clear that messing with them is never a good idea. According to Dinges, "Chronobiology is a hardwired, fairly inflexible biology, and yet social and economic systems of modern humans provoke it constantly." Anyone who's experienced jet lag, worked on a swing shift, or just missed a night or two of sleep can attest to that. "Sleep loss is only one piece of that provocation," Dinges adds. "Other pieces are this disturbed timing and ingestion of food at the wrong time which can make you fatter faster. It may also make you more likely to be chronically sleep deprived and therefore less safe and less able to be alert. And then there are other unintended consequences we don't understand. There is evidence from the World Health Organization of higher rates of cancer – breast and prostate – with night-shift work." One aim of chronobiology, aside from simply understanding the whys and wherefores of our inner clocks, is to find ways to better adapt to and live with the inevitable disruptions that modern life imposes upon our natural and ancient biological rhythms. Dinges is working to develop mathematical models to better predict human circadian timing with an eye toward achieving greater harmony between nature and necessity. "These models are increasingly being used and looked at and evaluated and deployed in regulated industries around the world, industries where governments historically have regulated how many hours you can work – trucking, aviation, mining. And we're seeing that these models can help predict when workers are going to be at greater risk or which schedules are less dangerous or less problematic than other schedules." Sehgal notes that a better understanding of the workings of the molecular clock and how it influences behavior and metabolism could also lead to drugs that could ease jet lag and the symptoms of sleep deprivation. The work of FitzGerald, Hogenesch, and Lazar on how clocks influence metabolism and other essential functions of the body could also have wide-ranging therapeutic implications. "For example, if we disable the clock, we have in mice a syndrome of accelerated aging, which suggests that sufficient clock function is very relevant to our biological equipoise," FitzGerald explains. "We know even from studies of humans that many of our hormones cycle through the day, and as we get older, those rhythms lose time before they eventually peter out. So I think there's a lot of interest in how clock dysfunction might contribute to aging and how that dysfunction is associated with so-called oxidative stress." FitzGerald also notes that the efficacy of drugs could also be improved by achieving greater harmony with the body's timekeeping: "It's been known for decades that time of day can substantially influence the kinetics of how drugs are broken down and eliminated. If you give the same drug at a different time of day, you may get very different drug levels, and therefore different responses. Despite that knowledge, it's remarkable how little it's influenced clinical practice." By its very nature, because it involves so many different facets of life at their basic functional levels, chronobiology has developed as a decidedly interdisciplinary science. From a discipline that was once considered little more than "spoon bending," something soft and fuzzy and perhaps only just slightly more dignified than ESP research, it has blossomed into a vital field encompassing molecular biology, physiology, endocrinology, neurology, genetics, psychiatry, sleep studies – even astronomy, when one considers the cosmic origins of the biological clock. "It's so pervasive that's there's no one scientific society or group where you can see all this," Dinges observes. "You actually have to go to many meetings to see people working on this at many different levels. It reflects the many ways in which this system needs to be understood and probed and dissected and modeled." Sehgal elaborates: "To some extent the interdisciplinary nature helps in figuring things out. You go to a meeting and there's going to be people studying cyanobacteria and people studying mice and flies and people studying humans, the whole gamut. The interdisciplinary nature has helped move it ahead." The field's need for intellectual diversity and a range of different scientific viewpoints has made Penn a hotbed of chronobiological discovery. "I think it's a little bit accidental and a little bit because Penn is such a great place for collaborations," says Lazar. "We all have different angles that we take, which is good, we wouldn't want to be doing the exact same things. But it's very complementary. I think it's safe to say there's no internal competition here, which is really a fantastic aspect of this." As Hogenesch puts it, "It highlights the incredible breadth and depth of researchers and research we have at Penn. I think it's a point of pride for our clock and sleep community here, the sheer excellence of the people here and how collaborative everyone is." The questions of chronobiology are as intricate and varied as the pieces of a clock – the gears, the springs, the screws – and Penn scientists are working to put all the pieces together. We may not be able to escape the clocks that mark the moments of our lives, but we can learn to better harmonize with their rhythms.